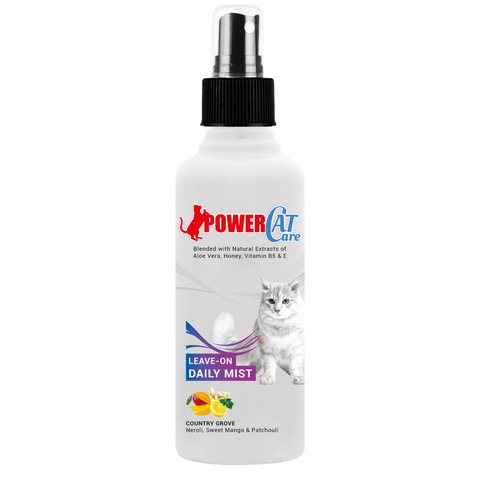 POWERCAT CARE Leave-On Daily Mist will not only make your cat's fur silky smooth but also helps to reduce flakes, and add shine to dull and itchy coats. With coat benefits from Aloe Vera, Honey, Vitamin B5, & E to assist and freshen the coat, controlling the odours, and extends time between baths. Perfect for a quick freshening up, in additional to a daily brushing spray, it can be used after bathing, as this does not need to be rinsed out.